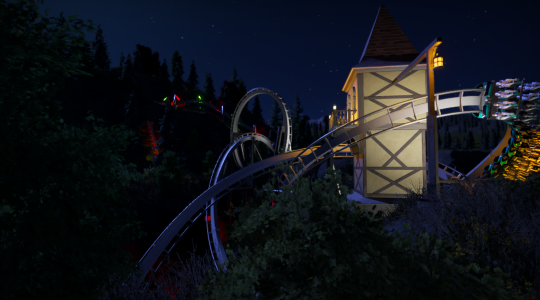 Congratulations to ChrisMDB's ImmerWulf, the latest winner of RCTgo's Build It Competiton! ImmerWulf beat the other three entries with 11 votes and 42% of the vote. Well done, Chris! Planet Coaster is definitely your domain. Thanks to Terry and everyone who voted for me, very happy to see a year's worth of work finally come to fruition after many setbacks and roadbumps. A very close call if you ask me, there was some high quality this round but I'm glad you won. You deserve it. Really well fought round by the top two, congratulations Chris! Another Planet Coaster win goes on your belt. Congrats Chris, a well deserved win!